Learn the “Mother Tongue” of string instruments. 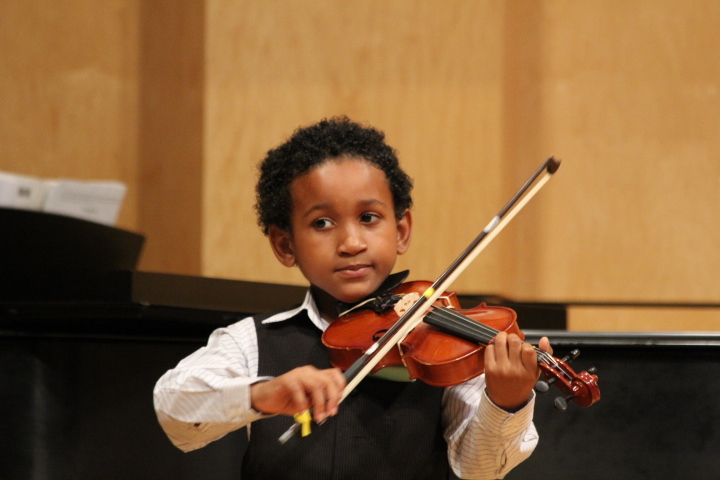 The Suzuki Strings (violin, viola and cello) program is intended for children age 4 through 8 with a parent or caregiver attending lessons. The program is led by certified Suzuki instructor and Program Director Rosalyn Troiano. A parent attends the weekly private 30-minute lesson with their child and is the “home teacher” during regular home practice sessions. Parents need no prior musical training. 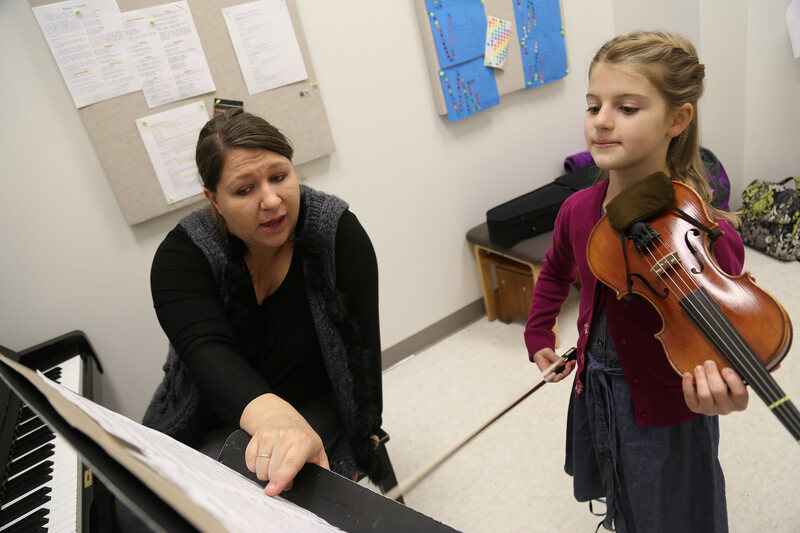 Students learn new pieces through daily listening to recordings of the Suzuki repertoire, similar to language learning. Group lessons are held six times per semester in addition to the weekly private lesson, and are a fun and important part of the Suzuki experience. All new students need to schedule an informal interview with CSA String Academy Director Rosalyn Troiano prior to registration. Please call (574) 535-7908 or send an e-mail to schedule an interview. For returning students, registration can be completed by visiting the Music Center Main Office, by calling (574) 535-7849, or online via ActiveNet. Private lessons are arranged between family and teacher. Beginning Suzuki violin and viola group classes meet every other Monday from 5:15 – 6:00 p.m. Book 1 Suzuki violin and viola group classes meet every other Monday from 6:00-6:45 p.m. Private lesson dates and times are arranged between family and teacher. Financial aid is available to families with need. Strong preference will be given to those who apply for scholarships by August 10, 2018; there is no guarantee for consideration of scholarship if applying after August 10. Funds are limited for new scholarship applicants for the spring semester, and will be considered on a rolling basis. Please note: The deadline for registering for lessons for the Spring 2018-19 semester is Monday, January 7, 2019. Registration after this date will result in a late fee. Lessons also begin the week of January 7.